Home This Week's Edition Advice Dating Forum: Marry the Daughter, Not the Parents? 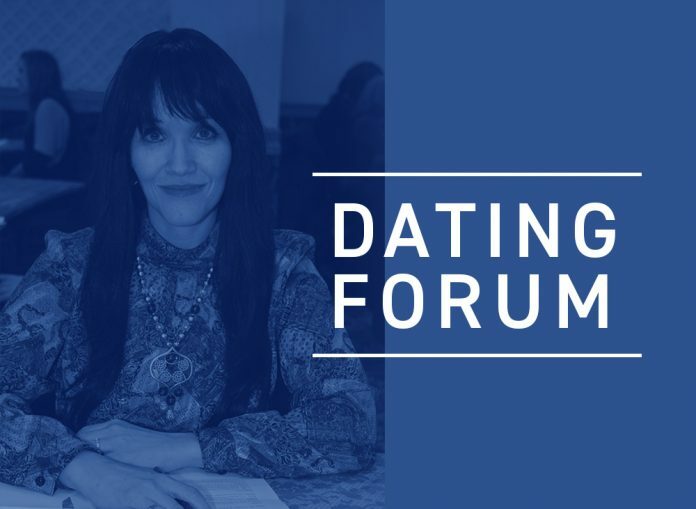 Dating Forum: Marry the Daughter, Not the Parents? Things were going very well with the girl I’m dating — until I met her family. It’s not just her family that turns me off; it’s that when she is with them she acts just like them. For example, she and her siblings have no respect for their parents. She never gets up to help her mother serve or clean off the table. And her siblings don’t help either. I know that this girl is really lazy, but it’s more than that. She is so disrespectful to them. Also, her father is annoying. He likes to show off with these long dvar Torah pieces that he hears from different places. He also puts me on the spot many times. He will randomly open a sefer and start shooting off questions when I am not prepared. Her parents also put each other down a lot. Actually, her father does it more than her mother. If you ask me, I think this girl’s mother is afraid of her husband. Other than that, this girl is awesome, and I know that she is totally into me. I feel like I could marry her, but I will admit now that I can’t stand her family — or even her when she is around them. I was thinking about a solution, and please tell me what you think. I always liked the out-of-town mentality, and I could really see myself living somewhere far from her family. This way I wouldn’t see them so much and we could just have a marriage to ourselves. I haven’t discussed this with anyone, because I don’t think anyone would believe how dysfunctional her home is. They are very big in their community, and I am afraid that if it doesn’t work out with us in the end, they will badmouth me. Let’s respond to your last two statements first. What does it mean when you say that they are big in their community, and you are afraid of the consequences so you can’t discuss this with anyone? If you really feel this way about her family, why are you even considering marrying her? What if the marriage does not work out, G-d forbid? If the fears you have about them turn into reality, you will have an even bigger problem on your hands. Let’s put your speculation aside for a bit and focus on the facts as you view them. You are dating someone with whom you feel compatible, and she feels the same way about you. Everything seems fine when you are by yourselves. However, when she is in the company of her family, she acts out in ways that you find distasteful, to the point that you not only can’t stand her parents, but you can’t stand this girl either when she is around them. Unless she has two sides to her personality, it sounds like she is demonstrating her true character. When people are in their own home, they typically feel comfortable saying and doing whatever they feel like. 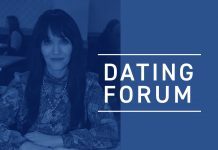 While on a date, most people are on their best behavior, and to an extent will even put on a good show for the purpose of making a positive impression. But people who are good at hiding the side of themselves that is not very nice can only do that in short spurts, like when on a date. From what you are telling me, it appears that you have spent enough time with this girl in her home setting to see the side of herself that she otherwise manages to conceal. You may not realize it now, but you are in a very good position. Not everyone gets the opportunity to observe the person he is dating interact with her family members in such detail. So, what you see is what you have every right to expect her to be like in the capacity of a spouse. While there is always the chance that a person can change his or her ways, and it is therefore possible that she may turn out to be a good wife, you still have her parents to deal with. Moving out of town does not mean that you will never have them in your life. There are plenty of yomim tovim, Shabbosos, and family simchas that will likely come up where you will still be in their presence. And whatever you see now will probably not get better with time where her parents are concerned. Some people are lucky in that they have a good relationship with their in-laws. That makes life easier all around. But that does not mean that those who can barely tolerate their in-laws are not capable of making their relationship with them work. On the contrary, there are many stories of people who had difficulties with their future in-laws, but with time and maturity, respect developed on all sides. So even that aspect can improve if you are up to putting in the effort, especially if they, too, will mend their ways. 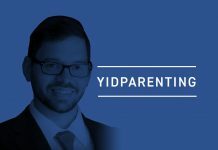 This girl’s father’s need to show off with a long dvar Torah more than once at the same meal may be a result of his strong need to prove that he is learned. It’s not the nicest thing to do to a guest, and even worse, he also puts you on the spot by asking you questions that you are not prepared for. This man may have issues that are beyond your ability to manage. But the question that nags at me the most is this girl’s lack of respect for her parents. If you were to tell me that she behaves silly and childish when in the company of her family that would not be so out of the ordinary. But blatant disrespect for parents is a sign of the dysfunction that you talk about. Whatever you are seeing may be worse than you can imagine. Furthermore, she has grown up in a home where she witnessed her parents not treating each other respectfully. Does she know what it means to have a healthy marriage? From what you are saying, whatever is going on seems normal for her, and she doesn’t realize that it may not be. Not only that, but it could be there are things going on that not only are you unaware of now but you will possibly never find out. Bear in mind that she could also have unresolved conflicts going on, and if she is not in therapy, I believe she would surely benefit from it. So where do you go from here? If you have determined beyond a shadow of doubt that this is the girl you want to marry, for better or worse, but want to find a way to deal with the “worse” aspect of it, then here is what I recommend. Go back to your original thought about speaking to someone regarding the situation. Whether it’s a rav or a community member, caution must be taken to ensure that the person will be honest and not base his comments on any personal ulterior motive. Moreover, this person should be someone you can trust to not repeat your conversation to the girl’s parents. I would even go one step further and ask your rav or a family member to get involved and discreetly find out as much as they can. If you decide to still go ahead with this shidduch, it is prudent that you have a conversation with her about your concerns. Verbalize everything you have disclosed to me, from her behavior when she is in her parents’ home to the way you feel you are being treated by them. Listen intently to everything she says and watch for her reactions. If she dismisses your points or implies that you are imagining things or overreacting, then this is likely not going in the right direction. However, if she validates what you are saying and recognizes that there is a problem, you are both on the correct track. I’m not sure how she will address the lazy aspect of herself that you make mention of, but how she will relate to her parents when married to you should be the center of emphasis. I will conclude by telling you that there are children who, unfortunately, are brought up in dysfunctional homes, and they will act as they are used to when in that surrounding. However, as long as they understand that there is a functional way to live, and they display a willingness to reject those unhealthy ways, such people can and do have healthy spousal relationships when they get married. It is of utmost importance that she appoints a mentor to help guide her.